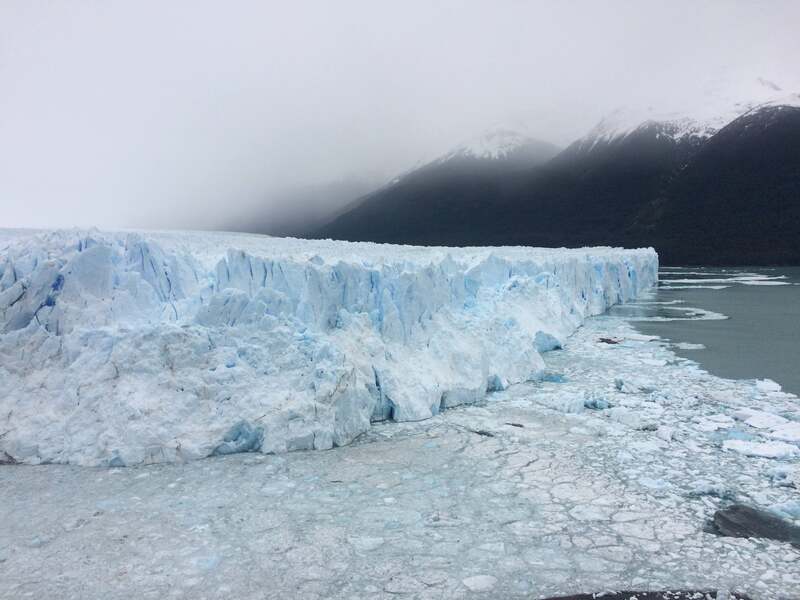 A bus ride and a $25 USD entrance fee away from El Calafate is the Perito Moreno Glacier. This glacier is special because from a bus ride alone you can see great views of the vertical ice walls from the walkable park balconies. Whereas these views are typically only viewable from a boat ride. Hielo y Aventura hosts most of the ice-hikes on the glacier. I did the “Big Ice” extended ice-hike here which was a rush-rush march to the glacier as soon as you get off the boat, make sure you are fit. Don’t worry about the bag size requirement on the website you just need something big enough to carry your lunch. Seeing the glacier water pools and crevasses was really cool, but due to the expense and rush-rush attitude of this excursion it sounds like the Grey Glacier ice hike might have been more enjoyable. 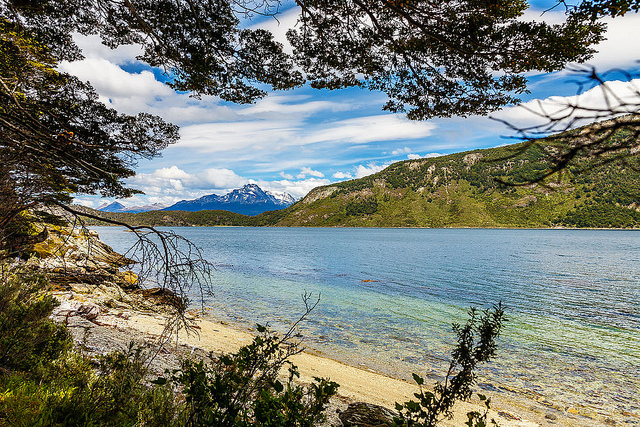 El Chalten feels like a small ski-town, but instead of downhill skiing everyone is here for climbing the Mount Fitz Roy and surrounding mountains. 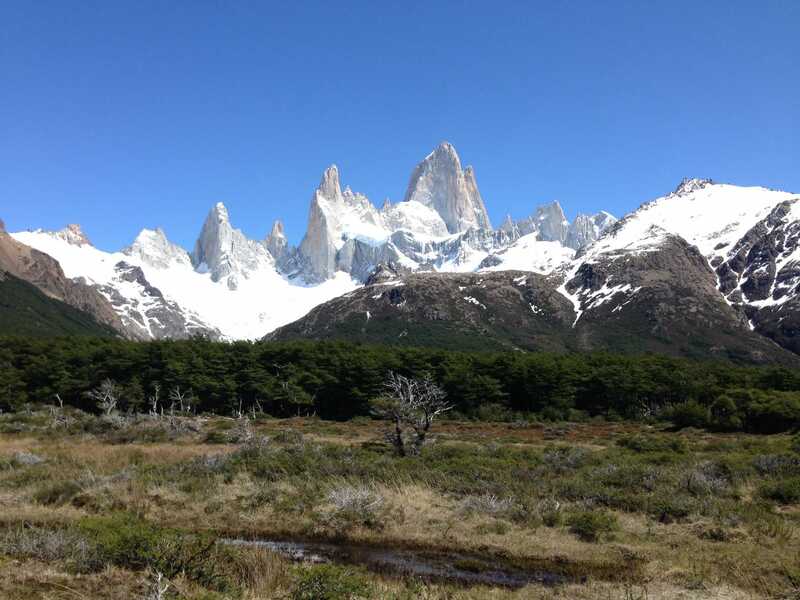 The hiking here is also amazing with great treks to Lago de los Tres to see the Fitz Roy (you’ve seen it) and to Lago Torre to see the stone towers (map). These are truly amazing hikes. The best thing about Chalten is you can step foot outside your accommodations and walk to a trailhead, but I found the lodging and food a bit more expensive than I had expected (like a ski town). 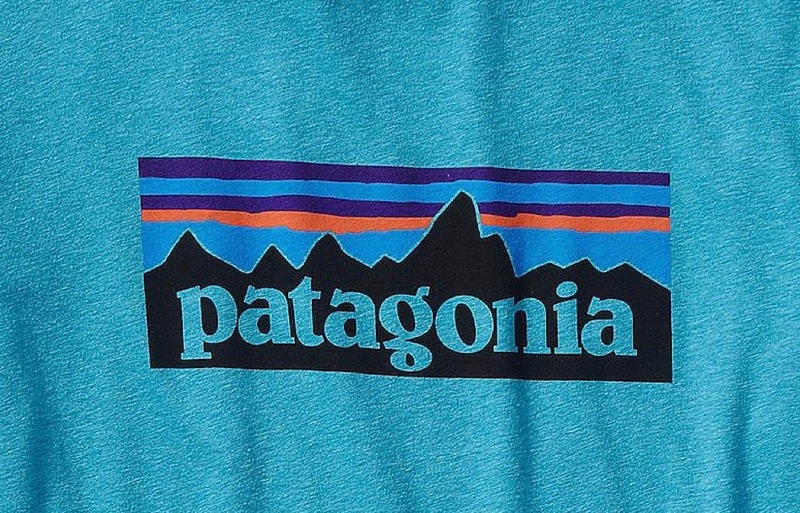 Still interested in Patagonia? Read about the people and places of Argentina or check out all my articles about Patagonia.